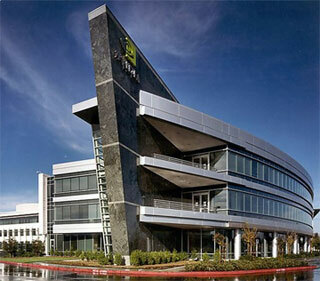 Profile: Nvidia is the longtime graphics chip powerhouse based in Santa Clara, California. The company expanded to offices in northwest Austin which sells and supports Nvidia products with such allies as Dell and IBM. Nvidia develops graphic processing units and motherboards for computers, mobile devices, and video game consoles. Services: DataCom Design provided acoustical consulting and recommendations to ameliorate noise.